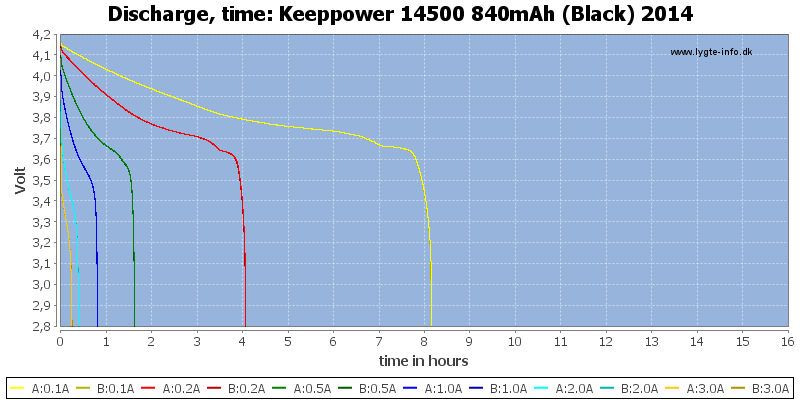 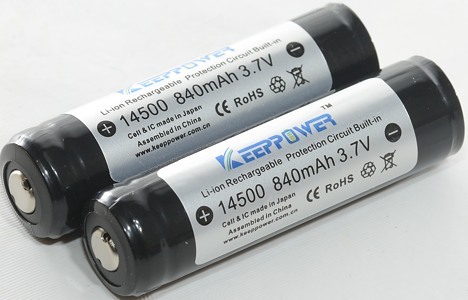 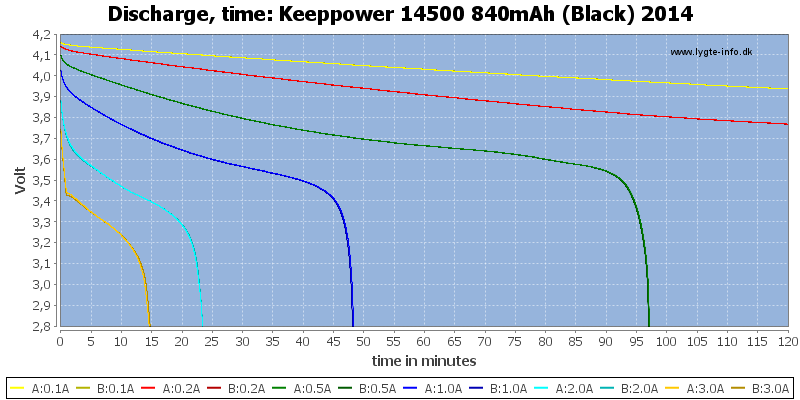 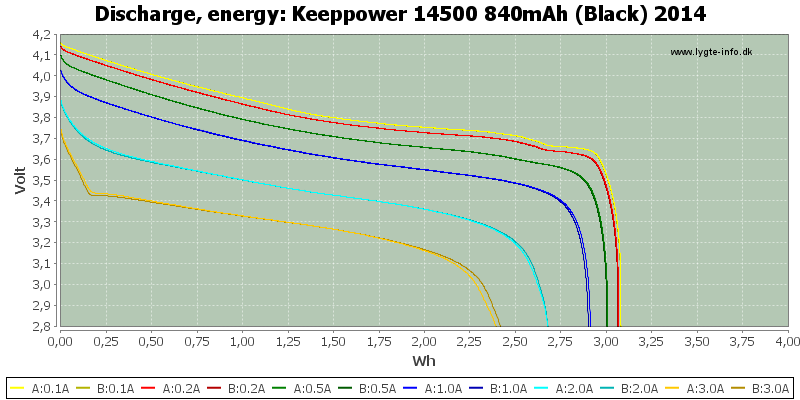 Keeppower has two 14500 batteries in their program, this is the one from Sanyo (The other cell is from DLG and is marked 800mAh). 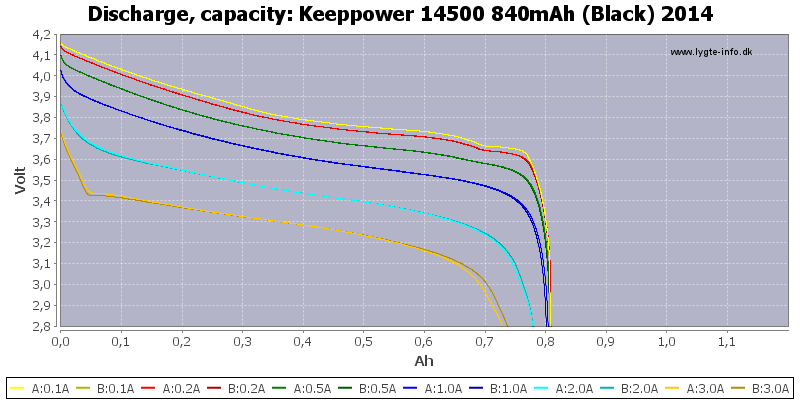 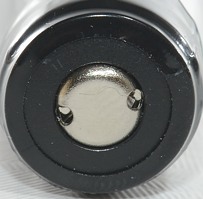 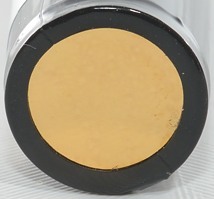 The battery is fairly constant in capacity up to nearly 2A. 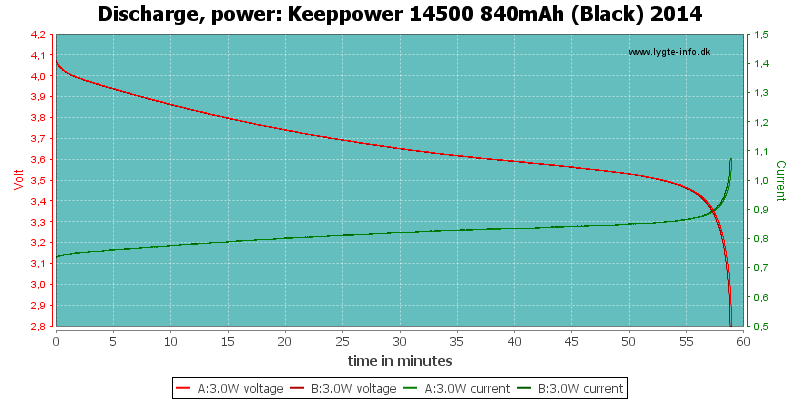 This battery has higher protection trip current than last time I tested it. 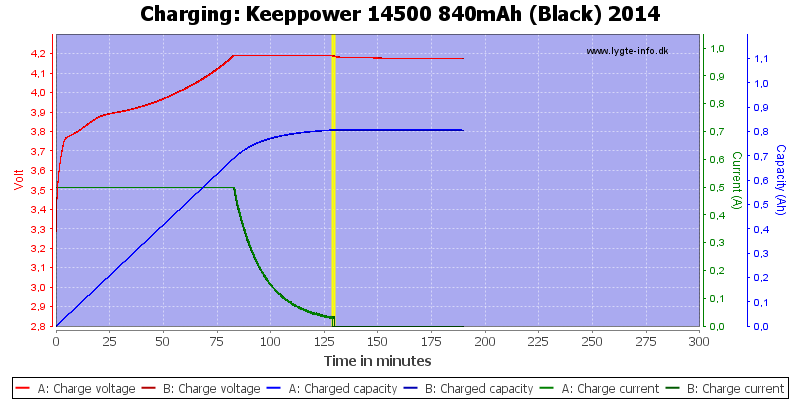 I have tested this battery once before (That time is was marked 800mAh) and got exactly the same discharge curves. 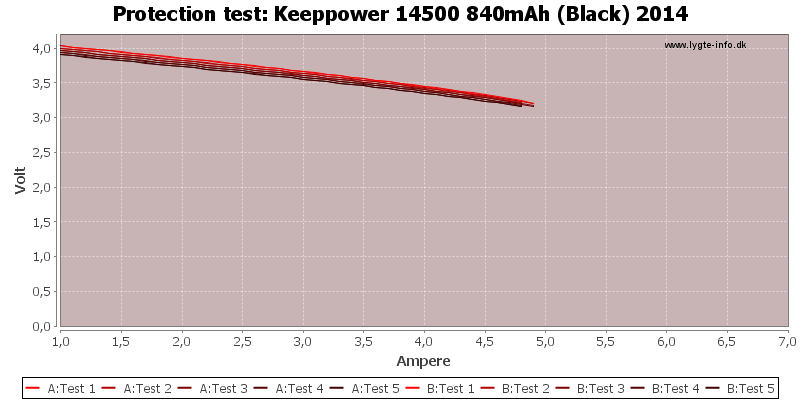 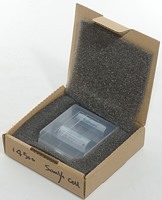 This is not very surprising with a Sanyo cell inside, this can only be a very good battery, even with the slightly high protection trip point.